To stay fully alert while driving, a stimulating fragrance thanks to the synergy of essential oils of Grapefruit and Geranium (envigorating), Nutmeg (invigorating), Pine Balm (invigorating) and Vetiver which boosts alertness. An elegant , metallic grey diffuser: delivered ready to use with an EasyScent Voiture fragrance already in place. Silent, it plugs into the cigarette lighter or a 12-volt socket. Smart, it diffuses its fragrance intermittently to avoid saturating the interior of the car and turns off automatically after 150 mins. 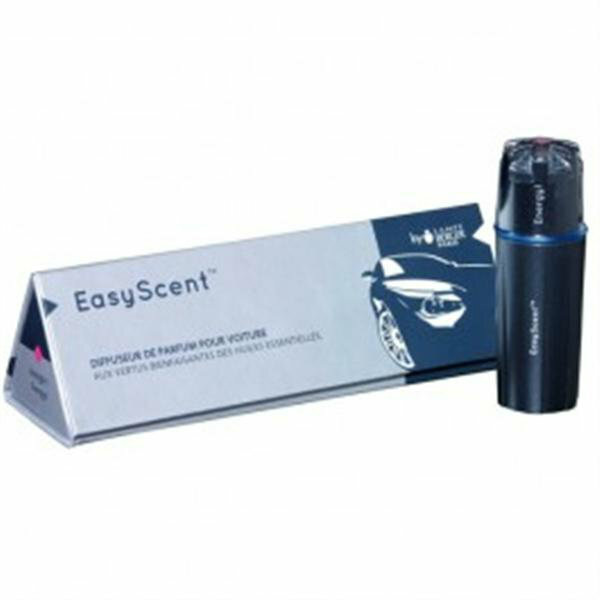 Clever, it has two speeds of fragrancing allowing you to choose the intensity of perfume you desire.